In a monumental career that spanned six decades and encompassed most of country music history, George Jones amassed a catalog of hit records that has influenced countless artists across country, folk and rock ’n’ roll. He is widely regarded as the greatest male vocalist in country music history. He is also one of the genre’s best and most prolific duet partners and recorded with a who’s-who of stars through the years. His best and most famous duo was with Tammy Wynette, but he delivered electrifying, funny, virtuosic and sometimes rowdy performances alongside many more hall of famers. 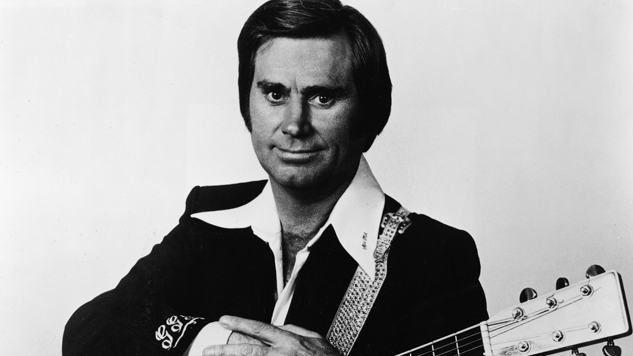 So here are the 10 best duets in the legendary career of The Possum himself, Mr. George Jones. Jones isn’t usually cited as a member of the Outlaw Country movement, but his duets with Merle Haggard, Willie Nelson and Johnny Paycheck (not to mention his infamous lifestyle from this period) surely qualify him as an honorary member. This stellar live duet with Waylon Jennings, the definitive Outlaw, seals the deal. The universal respect for Jones across all phases and movements of country over five decades is a testament to his versatility as a singer and performer. This bouncing, good-natured number from the 1984 album Ladies’ Choice stands out for the duo’s enjoyable rapport and for a teasing tone that recalls Dolly Parton and Porter Wagoner. Of course, Lynn had a great duo run with Conway Twitty, but this track makes us wish we could’ve seen more of these two together along the way. Willie Nelson wrote this classic song in the 1960s and joined Jones for a version on his album My Very Special Guests. The tune puts a smirking face on what was actually a serious issue for George throughout his life. But looking your problems straight in the eye and singing to them is pretty much the defining characteristic of country music. Another round of White Lightening it is. Merle Haggard was one of the best duet partners of Jones’s career and they had a classic album with A Taste of Yesterday’s Wine. This moving live video from 1997 shows the pair as elder statesmen, still sounding brilliant as they perform their profound respect for one another. And check out the backing band here laying into a heavy slow groove for the ages. George Jones and Melba Montgomery had a great run as a duo in the ‘60s and her vocal timbre remained one of the best fits for his. This gorgeous little gospel track from 1964 wasn’t one of their big hits, but it’s the most magnetic harmonic achievement of this legendary period, a magical merging of tones that cuts deep into the heart. This is pure country gold from two of the most instantly identifiable singers in the genre. This track from the early-’60s, which showcases the ringing match between their young, clarion voices, perfectly captures that electric interplay. Emmylou Harris, an all-time great in her own right, is also one of the most gifted accompanists in country and rock ’n’ roll, as heard on records like Bob Dylan’s Desire and in The Band’s The Last Waltz. Her voice melds beautifully with Jones’s on this great tune from My Very Special Guests. They find a few spine-tingling harmonies along the way that’ll have you praising the Opry gods. Montgomery wrote this classic song that became her signature number with Jones, as well as a country standard. This beautiful live video from 1970 shows the easy, yet professional chemistry between the two singers, which was an interesting contrast to the loaded romantic energy of his later partnership with Tammy Wynette. This is one of the best songs that George Jones ever wrote, with a superb melody anchored by the elongated vocal phrasing of the chorus where his and Wynette’s voices wrap around one another like the lovers speaking in the lyrics. The song portrays an image of marriage as solidarity, a nice parallel to the image of a duo on stage right before our eyes, side by side, voices becoming one. George and Tammy were among the most iconic duos in country history and “Golden Ring” was one of their biggest hits. They were also married for six years, which adds a resonant intimacy to this pretty tune about a couple finding the perfect wedding ring. This particular performance is special because it was recorded after their divorce and their body language conveys a coy sense of loss and regret. When they finally make physical contact at the end of the performance we witness in the gesture a beautiful moment of grace through music, a testament to their fraught but eternal partnership in song.